Hi girls, how is your Monday going? I struggled to step out of my warm duvet this morning, but when I finally got myself ready, I found myself feeling much more aware and brighter when I had some green tea. I think this may be the first time in history, where I actually like something healthy for me! :O Anyway, for today's post I wanted to touch on my two favourite trends for this Autumn/Winter - of course we all know that leather is a constant favourite of mine (even in the hot weather...) so it comes as no surprise that I would include it in today's post. Everything I have featured in this post either comes from Topshop, Victoria Beckham or H&M. I think there may be a few exceptions but just let me know what items you like and I'll send the actual link to you ;) Now, whenever I see leather, I see the 90's. A very important era for fashion, and definitely one of my favourites from the overview of fashion history. It's fun, funky and it definitely marches to the beat of its own drum - yes, I do have to mention Buffy in this part..Buffy the Vampire Slayer captures 90's fashion perfectly, including leather back packs and tight fitted leather trousers. 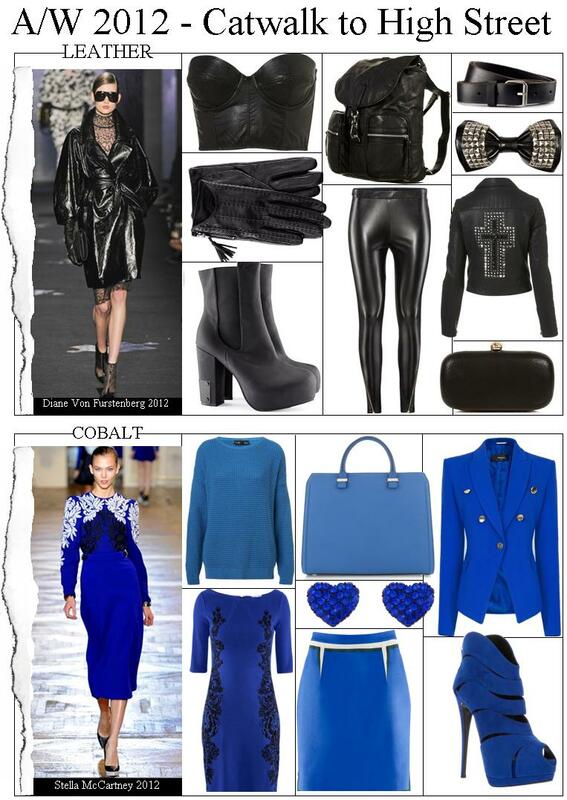 I'm loving the cobalt look, this was great inspiration hun! I love them.. All of them! Ooh ...I love everything in these pics. The blue jumper and blazer - i want them!! Really nice blog post! Would you be able to have a look at mine?